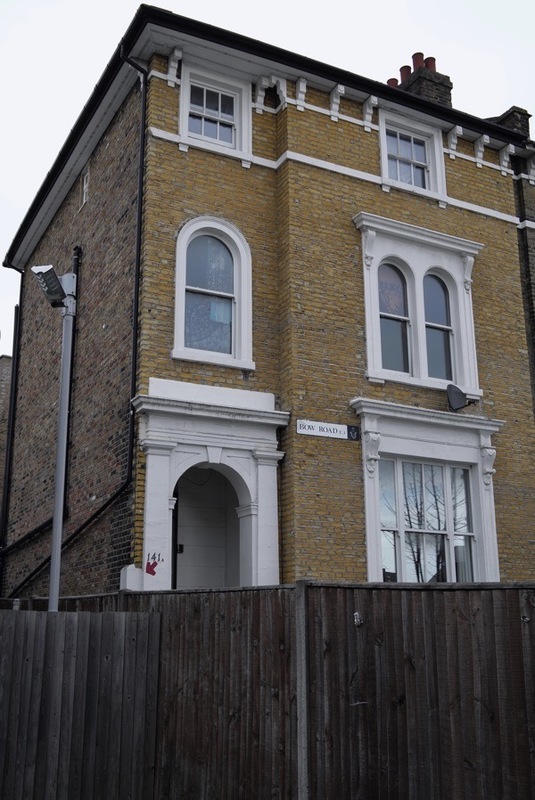 This house at 141 Bow Rd is not remarkable other than because it survived Hitler’s Blitz and the ravages of post-war demolition, which saw traditional housing stock replaced with imposing tower blocks and maze-like estates. 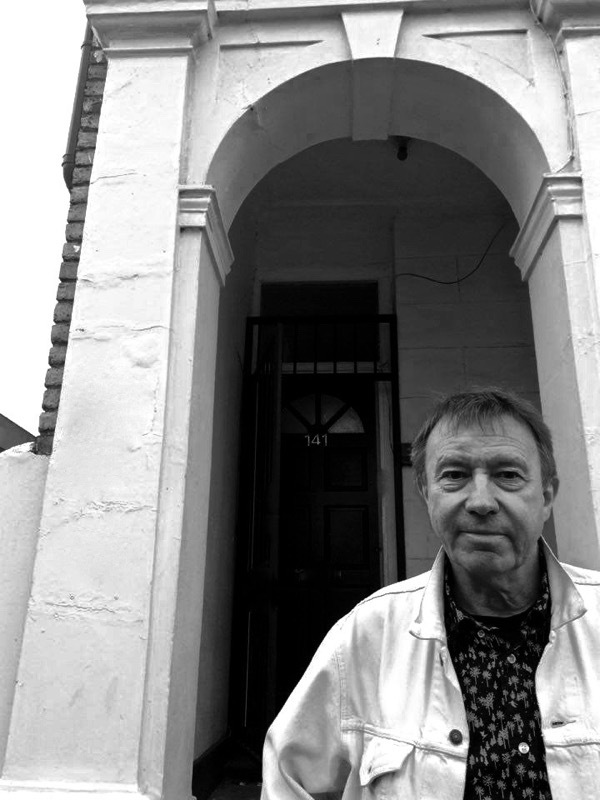 What is remarkable is the story of the woman who occupied this house during East London’s darkest hour. There is no plaque on the wall to tell her story to passers-by on the busy highway. There is no book to be read or documentary to be viewed. There is – in fact – very little of her story to be found anywhere. This is surprising, given her background, her voluntary and literary work, and her close connections to the Royal family. One autumn day while wandering along the Charing Cross Rd, I noticed a slim volume of poetry in one of the second-hand bookshops. On seeing the cover I realised that the author, Lilian Bowes Lyon, must be part of the illustrious and well-known family of that name. What intrigued me was the title, Evening in Stepney. Stepney is my part of town. Why, I wondered, had the high-born poet chosen to write about East London? What I uncovered gave me some of the answers, none of which I expected. Lilian was a first cousin of the Queen Consort of King George VI – better remembered today as that much-loved matriarch, the Queen Mother. Lilian was a novelist, poet and, at one point in her life, the mistress of the man who would go on to become Prince Charles’ personal guru-in-chief. Yet during the Second World War, despite being born into a wealthy and aristocratic family, she chose to work and live in the desperate, bombed-out streets of East London. Here, she befriended dock-workers and dustmen. Some would describe her as ‘The Queen of the Slums’ or ‘The Florence Nightingale of the East End.’ Yet today, she is totally forgotten. Over several decades of research into the history of East London, I have not found a single reference to her in many hundreds of histories, autobiographies and studies that I have read. Apart from one brief account, she appears only as a footnote in the histories of men. Am I alone in being curious that she remains an unknown figure? The books are those of a modern freethinker, with hints of taboo sexuality, and in The Spreading Tree, outright condemnation of a class-ridden England. Plomer wrote, ‘I used to tease her and call her a Bolshevik, but I am not sure that she was a political being at all… She was a poet with an acute response to the creative stirrings, however blind and dumb, of every human being.’ Lilian was ahead of her time – William Plomer’s homosexuality was fully accepted by her in a time of anti-gay prejudice, to the extent that she helped him financially to buy presents for his lovers. Bohemians’ begat beatniks begat Beatles and hippies. She never lived to see the sixties and the flowering of freedoms that she championed. But if she had, I like to imagine her, an eccentric old dame, turning up to do readings at basement jazz clubs, ‘happenings’ and Pop Art exhibitions. She was to be cheated out of that by a premature and tragic death. The thirties saw her reputation as a poet grow with publications such as The White Hare, and Bright Feather Fading. That decade also saw her conduct an affair with the white South African adventurer, Laurens van der Post, nine years her junior and already married. Laurens would become a household name in later years, beguiling the Prince of Wales and the television viewing public with his tales of encounters with the Bushmen of the Kalahari Desert and his wartime experiences as a Japanese prisoner of war. Lilian became a member of the Women’s Voluntary Service before the outbreak of war and assisted in the evacuation of the capital’s children to the countryside. She also guided bombed-out and traumatised Stepney children to the Hampstead War Nursery, partly run by Anna Freud, daughter of Sigmund. But her main association with the East End was to begin in a most unlikely place. The Tilbury Shelter was formed from the arches, vaults and cellars of the London, Tilbury and Southend Railway goods station and an adjacent eight-story warehouse. Not being fully underground, it made a strange refuge from the bombs of the Luftwaffe. Yet every night it was bursting at the seams with East Enders desperate to escape the raids. At the start of the Blitz, the Tilbury was run by two separate bodies. On one side, vaults requisitioned by the borough council were authorised for shelter use. The connected warehouse site, however, was still being used as storage space. When bombing began it became clear that the vaults would not contain the numbers trying to get into them, and consequently the desperate crowd – aided by members of the local Communist Party – broke into the restricted area. Evidence indicates that it was occupied by up to 16,000 people every evening. In all the shelters there was concern about the spreading of disease – scabies, impetigo, tuberculosis, diphtheria – and there were reports of lice. But anecdotal and official sources indicate that the Tilbury was the most filthy and disgusting of them all. ‘Hell Hole’ was a common description for it. There were just twelve chemical toilets in a curtained-off area, with some overflowing buckets for the children. 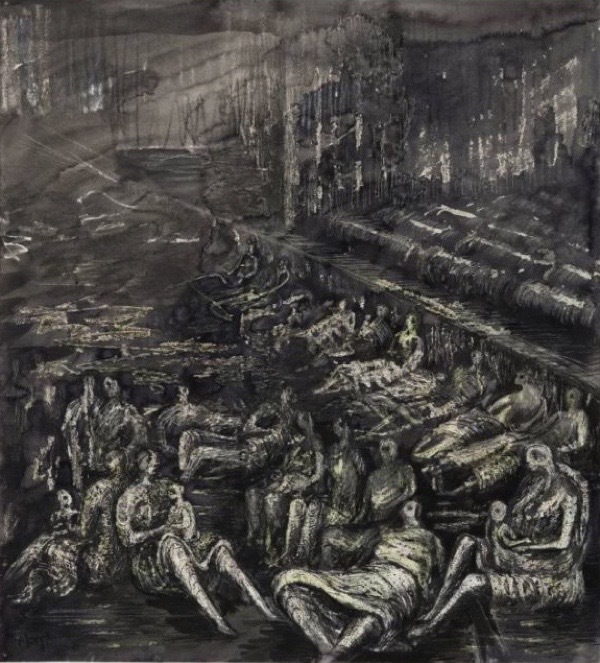 As cold as the night might be, the temperature would rise, bringing about a foul stench from thousands of bodies who lacked any washing facilities. And at the heart of it, a mountain of rancid margarine, abandoned when the warehouse was overrun. Lilian was a regular in the shelter, probably taking refuge when carrying out her work and, given her position in the WVS, almost certainly assuming a supportive role there. Eventually, the soiled margarine was removed and a clean-up operation begun when the situation – and the stench – could no longer be tolerated. 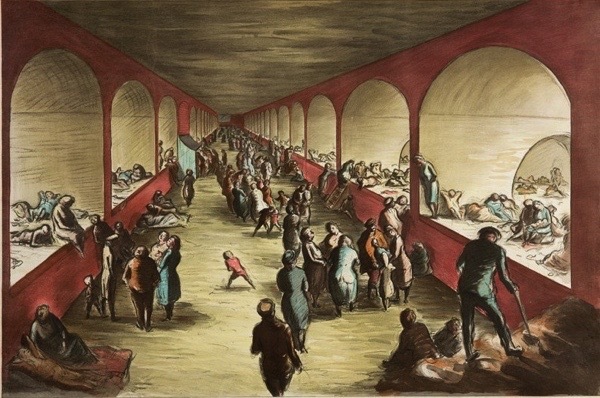 So notorious was the Tilbury that it became a sort of subterranean cause celèbre, with artists such as Henry Moore and Edward Ardizzone joining the crowds. Also documenting the scene was the self-taught Rose L. Henriques, wife of Basil Henriques, founder of the local Oxford & St George’s Jewish Boys’ Club. Although she is known for philanthropic work, Rose’s paintings are less well remembered. During 1942, Lilian Bowes Lyon came to live in Bow and composed her epic poem, Evening in Stepney. A brief entry about Lilian’s time here appears in The Queen Mother’s Family Story, written by James Wentworth Day and published in the sixties. It contains an interview with Lilian’s wartime housekeeper, Ellen Beckwith. Ellen recalls a royal visit – ‘The Queen Mother came one day. No fuss. She had a cup of tea with Lilian in the flat, and Lilian told her just what we needed down here,’ Other anecdotes feature the Duke of Kent dropping by and Lilian summoning Foreign Secretary, Anthony Eden, to Bow Rd to ‘give him a good talking-to and just show him what Bow needs.’ Lilian supposedly obtained a direct line to the Queen’s rooms at Buckingham Palace to berate one of the ladies-in-waiting for lack of free food and hot drinks during the VE Day celebrations. Ellen also recounts an incident of how during a bomb blast, Lilian was kicked in the leg by a hysterical woman. The inference is that the injury exacerbated a long-term diabetic condition. Lilian was resident in Bow until at least February 1945, but when her physical condition deteriorated she found herself swept back into the world of privilege she had attempted to escape. 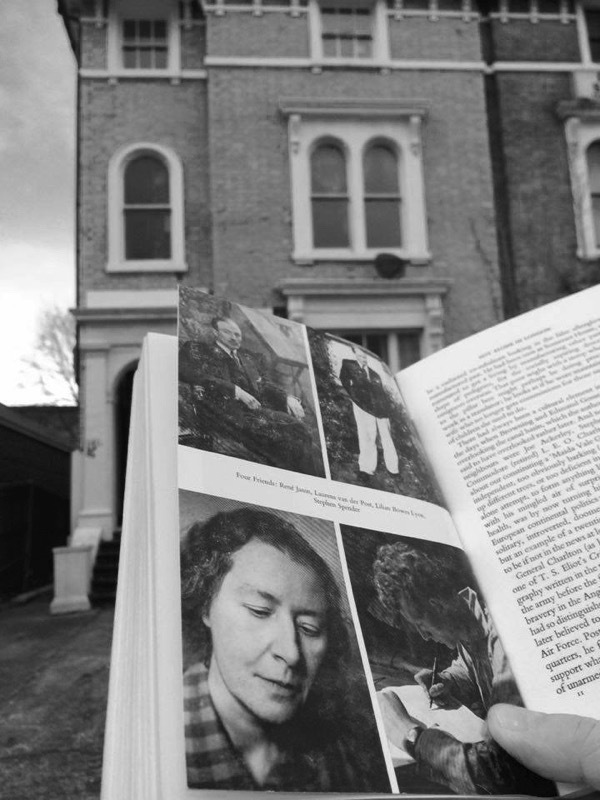 I tracked the locations of Lilian’s life – the site of Tilbury Shelter, 141 Bow Rd, the series of West London houses where she spent her last days recovering from a series of grisly operations and her final dwelling in luxurious Brompton Sq. In constant pain, with both legs amputated, Lilian passed away there in the summer of 1949, yet continued to write her poetry until the end. The ‘letter’ tantalisingly refers to a diary kept by Lilian. It would be a fascinating read, possibly containing more of her views on politics, her local contacts and of another affair that she conducted with a married Jewish doctor while in East London. What happened to the diary on her death? Enquiries made to the highest family in the British social scale have brought about the reply that no archive relating to Lilian Bowes Lyon exists. The Royal circle tend to keep their secrets. I wonder if because of her left-leaning views, her romances, her circle of outsiders and her questioning of the accepted social order, Lilian is one of those secrets? And each house taciturn to its neighbour. Fortified in defeat by the soldering air. Who crumble and are the destroyer. To plan the adroit, repetitive memorial. Fascinating! Thanks for the information. Well written all the ‘known’ strands brought together beautifully. This is fact not fiction still more of her life to be told when archives will allow, for this ‘woman of the people’. Roger I am sure we would like to hear from you again soon please. John. What a fascinating story. It is so sad that Lilian’s story has been buried for so long and oh to read that diary! What a tale she must have told! Thank you for this wonderfully tantalising peek at the story of a woman who, today, would be praised to the skies for her wonderful work. Thank you Lilian, too. Lillian Bowes Lyon, a fascinating read and what a great pity that there isn’t more to read!!! What a very interesting and outward living woman she must have been. I’d add her to my list of people I’d like to meet. People like her should be admired and respected instead of because of background etc. Be “filed away”. What an amazing woman, unknown then discovered and written about by Roger Mills, with continuing research by you, then shared with us. I would like to have had a cuppa with her, Lilian who bravely marched to the tune of her own drummer in disapproving times. Such beautiful accompanying illustrations. And what is the story of Rose Henriques, pray? A fascinating piece of research. It would make a great book. Thank you for sharing this with us. Excellent research and beautifully written . Wonderful to read about women and their achievements, especially those who are forgotten. Marnie Sweet, above, asks about the little-known painter Rose L. Henriques. 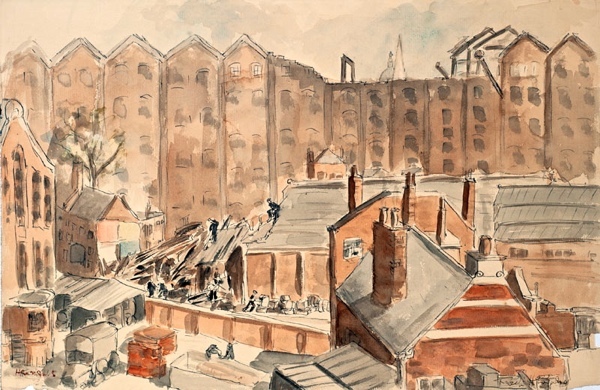 A brief biographical essay and more of her splendid paintings – including those of the Tilbury shelter – feature in the slim paperback ‘Stepney in Peace & War: The Paintings of Rose L. Henriques’, published by Tower Hamlets Local History Library & Archives, 2014. It’s still in print, I believe, and available from the library in Bancroft Road, Mile End. We’re her sisters the two Bowes-Lyon’s who were incarcerated in mental institutions their whole lives? Wonder if they were also considered ‘rebels’? Coincidence how the rebellious royals seem to have untimely exits and conveniently airbrushed out of history. Shame, and shame on us for allowing such division of ‘class’ and wealth on the backs of badly paid workers, to remain to this day. Wonderful! And I hope a book about Lilian is in the works. Regarding the search for more Lilian papers: might she be related to Rugby headmaster of the past, P.H.B. (Hugh) Lyon (1893-1986)? I recall he was also somehow related to the Queen Mother. Cousin? She also sponsored the Kindertransport which was organized by Nicholas Winton to save Jewish children from the Nazis. Too bad there is so little known of her. Another gem, thanks. The Bowes Lyon family home is in Richmond N. Yorkshire. Now a museum and a very fine house indeed. Always worth a visit if you’re in the neck of the woods. That was absolutely fascinating. I too wonder about the diary, and I immediately checked out her record in the Probate Calendar: Lilian Helen Bowes Lyon of 35 Brompton Square London SW3, spinster, died 25 July 1949. Probate London to Glyns Executor and Trustee Company and Keith Miller Jones Solicitor. Effects £65,869 2s 8d. I wonder who got all that money – family, or – more likely knowing her – something charitable. Anyone can get a copy of a will for a small fee. Her will would show who her heirs were, who might have still got the diary. To Gabrielle, the girls who were in mental institutions were her first cousins, not sisters, and were not incarcerated the entire lives: Nerissa was 22 and Katherine 15 when they were “put away”. Another cousin wrote about playing with them as children, said they were delightful little girls but never learned to speak. GA, less gentle in action but as authoritative and influential in word, your new-found Queen is no doubt someone — fellow writer, social commentator and the most human of beings — with whom you have a deep affinity, the quality of your writing telling us so, determinedly and with such admiration and solidarity across time. Absolutely fascinating. What a shame that there’s nothing much to read about Lilian Bowes Lyon, because she sounds like a very interesting woman. Deepest thanks O Knight for this treasure-trove about this remarkable woman ahead of her time, and her friend William. How about a book about William and one about Lilian? Bestsellers they could be. I hope you follow-up in obtaining her will and trying to locate her diary. You just never know, it might still exist! Great read,great lady,nothing changes in the UK,the leaders still treat the people in the poor areas of the UK like dirt,even during the war it seems,makes me wonder why,people still allow them TO ???? Great article and well researched. , Lilian Bowes-Lyon seems so overlooked. Have managed to get hold of her ‘Collected Poems-introduced by C.Day Lewis’, from 1948. Anyone know where I can find an online photo of Lilian Bowes-Lyon ? Thanks. I wrote a piece, Saint and Scarecrow, about her life and work, and it’s on the web somewhere, plus Bloodaxe Books are publishing an anthology of writers from the North-East and using a near handful of her verse, so check them out!! Most of her work was published by Jonathan Cape, as well as a novel, some of her work is also produced in a series of anthologies, The Best Poems of…, published in the 30′s, as in The Best Poems of 1938. Lovely to see this article. Lilian has been my ‘adopted’ forgotten heroine from history since finding an Edwardian autograph album containing two handwritten poems when she was 13. I’ve been collecting her poems and books, letters ever since. Lilian also sponsored refugee children during the war to find safety in England. I very much look forward to your biography of Lilian Bowes Lyon; this article is an intriguing foretaste of what is to come. I wrote a few pages about her in my 1994 biography: Olaf Stapledon: Speaking for the Future. Some of her letters to Stapledon are in the Stapledon archive at the University of Liverpool. I came across Lilian Bowes Lyon when researching one of my relatives (Eva Glasnerova) who was a Czech refugee in London during the war. She was on the executive committee of the Czechoslovak British Friendship Association and I noticed that Lilian B-L was one of its patrons, so googled her to see what was known about her. She sounds like an interesting woman. she was as Somalis said very polite and quite quiet and slightly eccentric in a way but always nicely dressed and came from good stock if you get the expression.